I believe that being grateful is the cornerstone to great golf, however golf is not the only thing being grateful enhances. My 3 foot space is something I try to improve every day. I think it is important to leave a situation, place, or encounter in better condition than when I found it. This tall task is sometimes very difficult, but the rewards far exceed the effort. Being a grateful golfer is no different. There is no secret formula to being a grateful golfer. Like all things in life, it takes a conscious effort to develop a state of mind that empowers us. And to develop this mindset can be challenging and easy at the same time. It must take some sort of activity. I have a euphoric feeling when I play golf. I gain great satisfaction from walking the links, enjoying nature, and sharing the experience. There is something that triggers a positive attitude when I see the intended flight of a golf ball zeroing in on the pin or unintentional missed shot that has positive results. These and many, many more experiences, elicit gratitude when on the links. As a result of my positive state of mind, other things happen that shape my actions. I smile more, offer positive support, take care of the golf course, pick up candy wrappers, and take time to stay in the moment. And my confidence in my game continues to grow. Like a snowball rolling down a hill, my gratitude grows, my positive mindset grows, and my confidence grows. At the end, my golf game improves, which results in lower golf scores. I try everyday to maintain a grateful attitude. I tell everyone that “I choose to be happy”. As a result, I try to see the positive in most things and choose to focus my efforts in that direction. Of course, I am human and this is not always possible, but when I am off track, I consciously redirect my efforts to follow a more positive path. It is challenging and difficult, but rewarding. So what does this mean for my golf game. Well, it keeps the dark side way. It helps me focus on making the right shot at the right time. It helps me stay in the moment and still stay focused on the next shot. My gratitude expands my awareness and helps me make the correct shot for the situation. When all things come together, I shoot very low scores. When I slip up from time to time, my scores are a bit higher, but acceptable. When, as happens from time to time, I am not in a grateful mindset, anything can happen on the course. Others will have a different name for what I have just described. But I believe you get my point. Being grateful while playing golf does have an impact on my game. 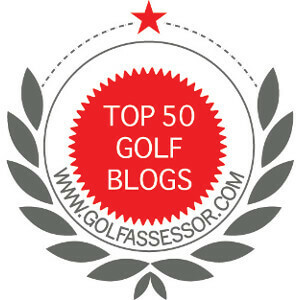 It is more that just a tool for better golf, it is an approach. It helps me stay focused on the important aspects of my game and empowers me to play better. Being a grateful golfer works for me and I will continue to foster this positive mindset in the future. Are you a grateful golfer! Great story Jim. sounds like you are mastering the art of being happy. Thanks Jean. I hope is well with you. Have you had a chance to golf as you fly all over the world? I try and remember to be grateful in all aspects of my life and not just golf. I haven’t had a perfect life in many ways. But there is always someone worse off than I am. About 3 weeks ago this was driven home to me on the golf course. There was a guy on the tee box waiting for the fairway to clear and he asked if I would like to join him. Now I don’t always accept invitations like that. I knew just by his age, it was going to be a slow round, but there was a foursome right in front and another on the next tee so I happily accepted the company. Then I noticed something that really threw me off. His left arm was crooked at the elbow. It hadn’t moved and still wasn’t moving. This guy was out playing with just one hand due to stroke damage. It was a slow day. But I enjoyed myself immeasurably and was constantly amazed with how this guy was hitting the ball with just his right arm. It both made me thankful to have both my arms and also inspired me. He played well considering both his age and impediment and if he can manage to do that, the par I am aiming to shoot one day is possible too. That is an amazing story! Thank you for sharing. You are right about that gentlemen being an inspiration to all golfers.